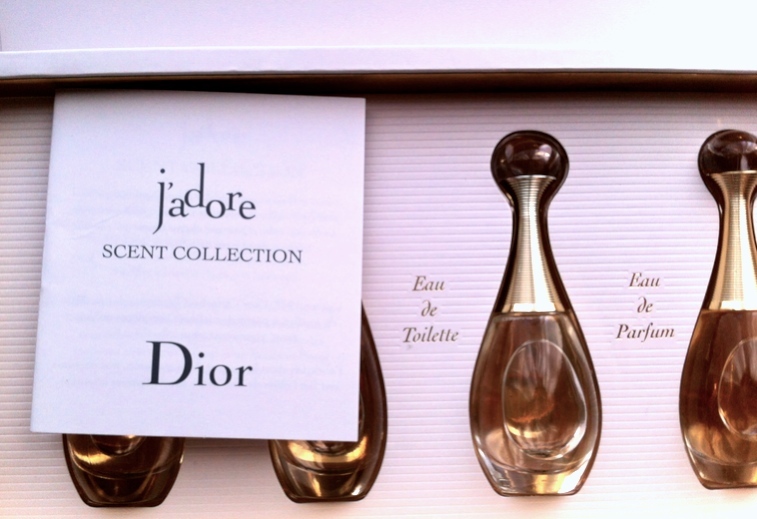 J’adore scent collection | Chic first: an elegant view on beauty, fashion and lifestyle. With these words, Dior itself presents on its website J’adore, the best-selling flowery scent launched in 1999 to celebrate Mr Christian Dior personal passion for flowers. ine, J’adore symbolizes sophistication. Glamor. Luxury. Sensuality. Carved into the flowing and sensual curves of its amphora shaped bottle, with long golden neck. Embodied by the statuary testimonial Charlize Theron, walking and moving like a proud feline, who has made it legendary. 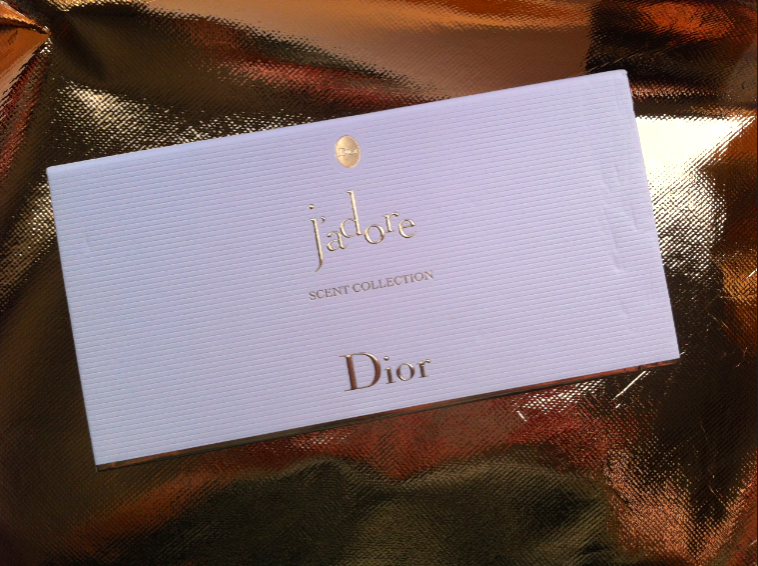 The scent collection offers into an exquisite white box with golden details a selection of miniatures of J’adore. A limited edition all lovers of the fragrance will crave for. It’s a celebration of the fragrance, I wouldn’t dare to use on the skin, but would rather keep as a treasure. I bet it wasn’t easy to find this little wonder and I’m glad I’ve been so lucky to receive one. To prove how much iconic this fragrance is for the French maison, have a look at how wide is the range on the Dior website: a soap bar, a body cream, a body milk, a mini size for the bag, eau de toilette, eau de parfum, shower gel, deodorant and even a hair mist. Impressive! What I like the most about J’adore, apart from such variety of products among which to choose, is the fact, despite of its oriental packaging, it smells fresh and flowery. It offers the delicacy of a garden in late spring. It’s not heavy to wear, as one could expect from the outside, or thinking about other fragrances from Dior, such as Poison or Dolce Vita. Ah, it’s Heaven in a bottle! This entry was posted in Beauty, Fragrance and tagged beauty, chic, chicfirst, Dior, Fragrance. Bookmark the permalink. 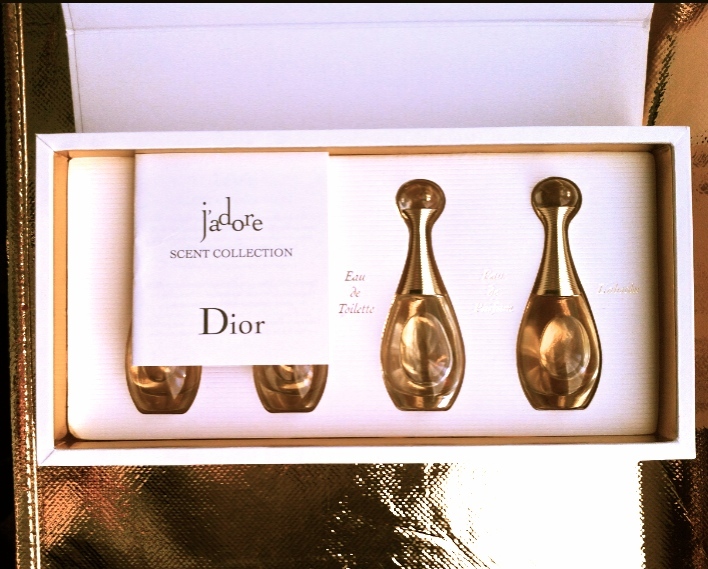 J’adore is my favorite perfume of all time. I have this massive bottle that cost me around $90, worth every penny in my opinion. Hi Jen, thanks for your comment. I have it too, and I also bought the version ‘L’Or’, which is my favorite: bloody hell expensive, but sophisticated, elegant and very long-lasting. It’s so nice to be wrapped by the fragrance we love all day and smell it even when back home in the evening, before preparing to go to sleep, isn’t it? have a nice weekend! haha! J’Adore has always been special for me! it was the first perfume I bought with my own money! I was 14 then! haha! I was contemplating to get this set also! so pretty and luxurious!